It’s that time of the year again! Thanksgiving is one of my favorite holidays because I get to spend quality time with my family both in the kitchen (my mom and I love to cook together) and at the table, eating delicious food. Many people tend to overeat on this holiday (a typical Thanksgiving meal is 2,000 calories), but you don’t have to! You can start the day right by cooking some of my personal favorite Thanksgiving recipes from my Thanksgiving Ebook. In this ebook you will find 30 healthy Thanksgiving recipes that will show you how easy it is to substitute all of the usual heavy-carb, loaded with fat and sugar dishes that you traditionally find on the table. Once you sit down for your meal, start with a fiber-filling soup and a salad. 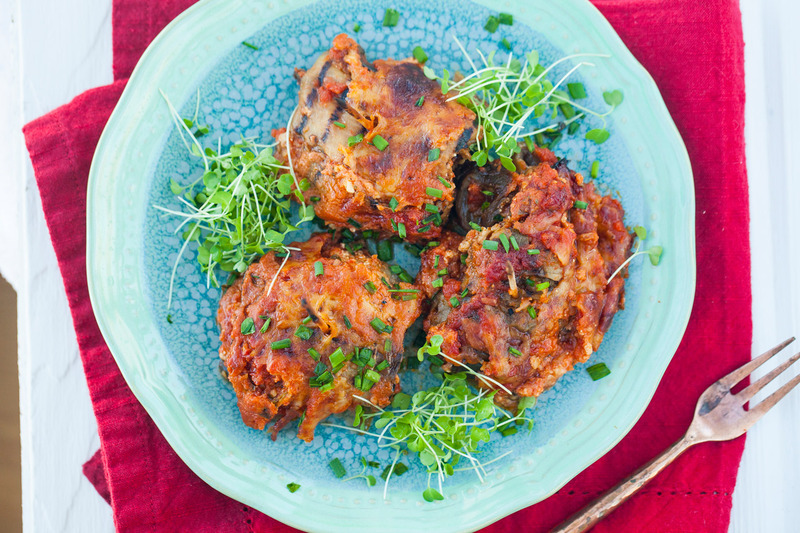 For your main course, fill up your plate with loads of vegetables and up to 4 oz. (for women) and 7 oz. (for men) of lean turkey meat. Avoid sugary beverages and instead enjoy a fresh mint tea or a Nedi Martini! When it comes to dessert, I always think it is better to have a few small bites to satisfy your cravings but without indulging too much. 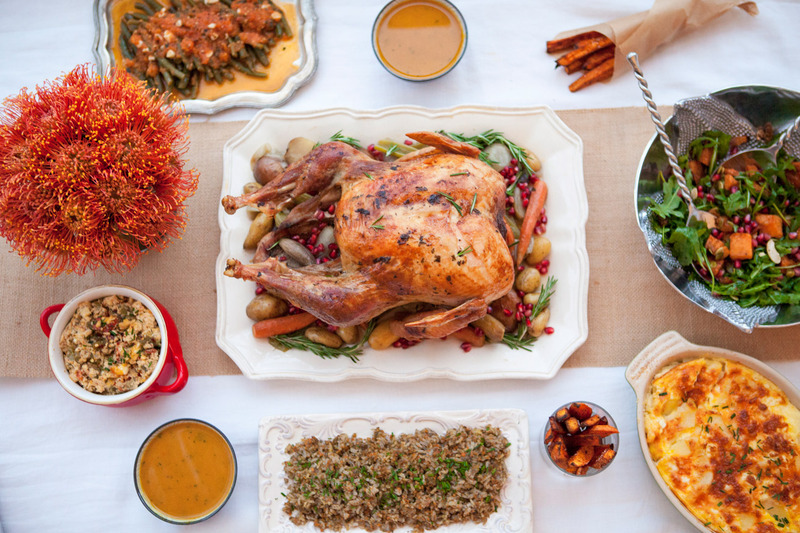 With these Healthy with Nedi tips, you’ll be able to have a healthier, yet still satisfying Thanksgiving meal. 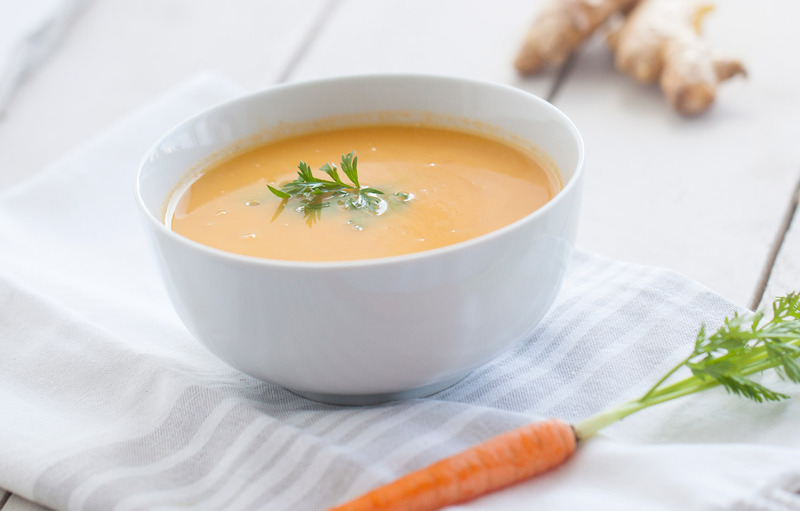 This soup is deliciously creamy without any dairy and loaded with nutrients – one serving of lentils has 18g of protein and 12g of fiber! The fiber will help you feel fuller, so you don’t overindulge later on in the meal. This salad is the perfect fall salad. 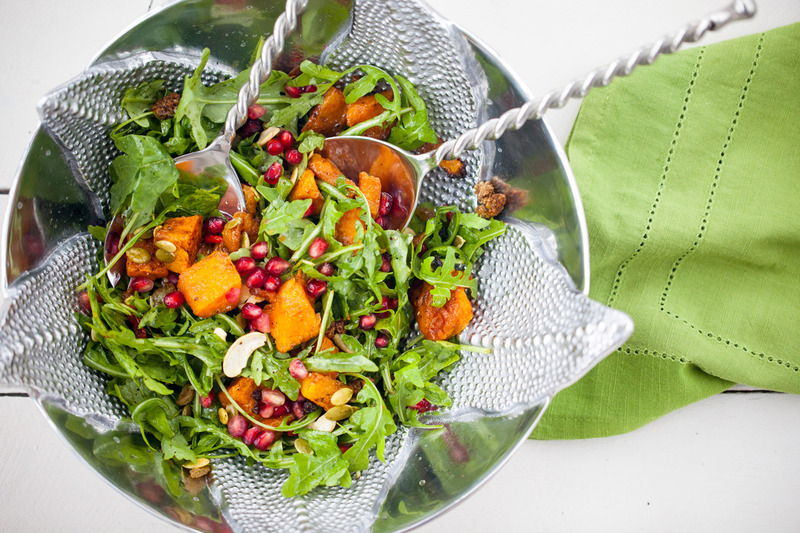 The arugula and pomegranate add a satisfying crunch and the sweet maple vinaigrette is such a treat – I am positive you will be licking the bowl afterward! This simple oven roasted turkey recipe uses fresh herbs to make a delicious version of this traditional Thanksgiving dish. 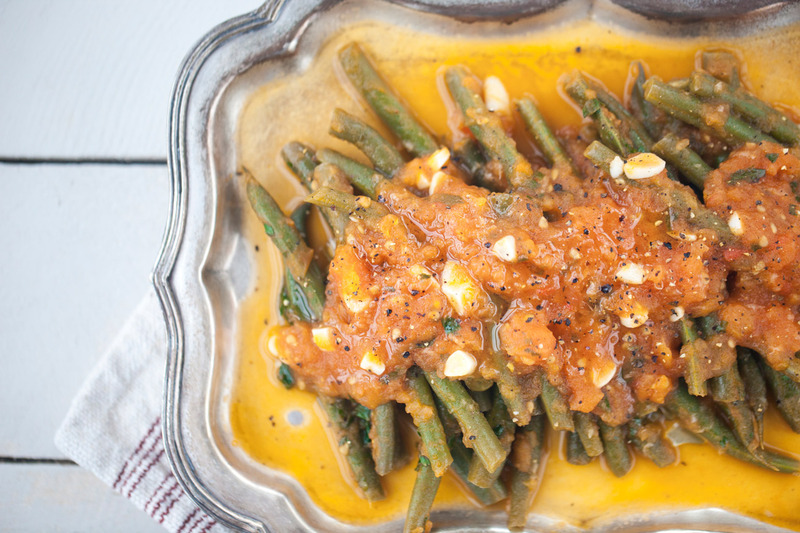 These green beans are steamed and covered with a tomato-garlicky sauce to make the perfect side dish for Thanksgiving. Green beans are a great source of vitamin A, E, B6 and are also rich in copper, iron and protein. 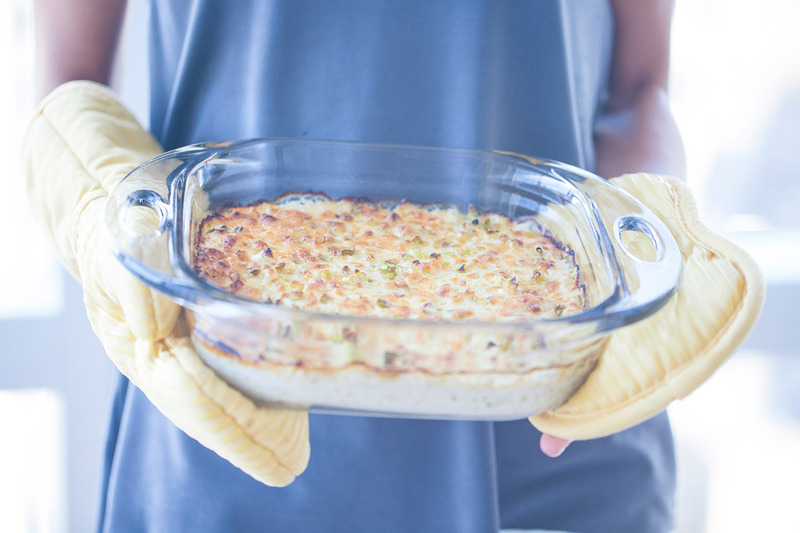 A delicious, Greek inspired side dish. Eggplants are full of antioxidants and healthy nutrients like manganese and potassium. I absolutely love mashed potatoes, but as you know I’m not a fan of all the carbs and calories! This cauliflower purée is an absolutely divine substitute. This dessert is so tasty and loaded with heart healthy fats and fiber. 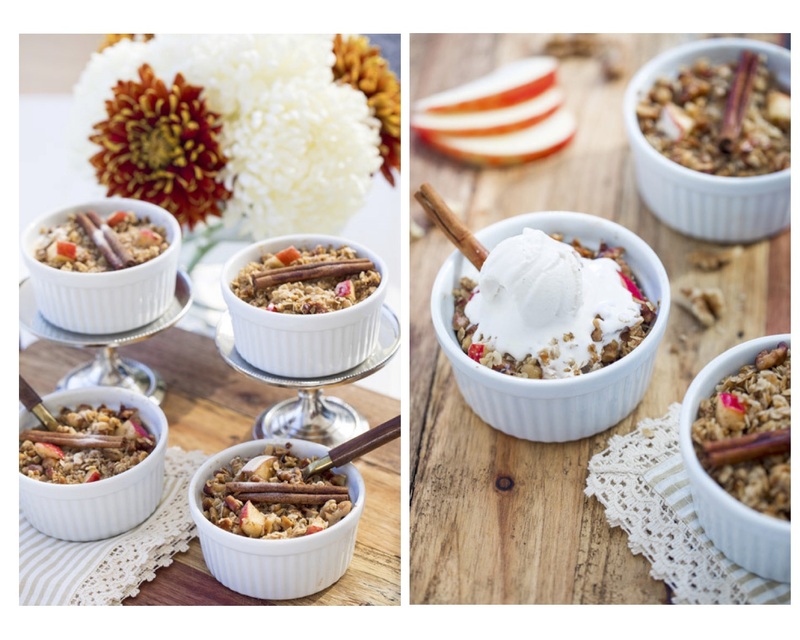 If you love these recipes, make sure to download my Healthy with Nedi Thanksgiving Recipe Ebook for many more healthy Thanksgiving recipes.